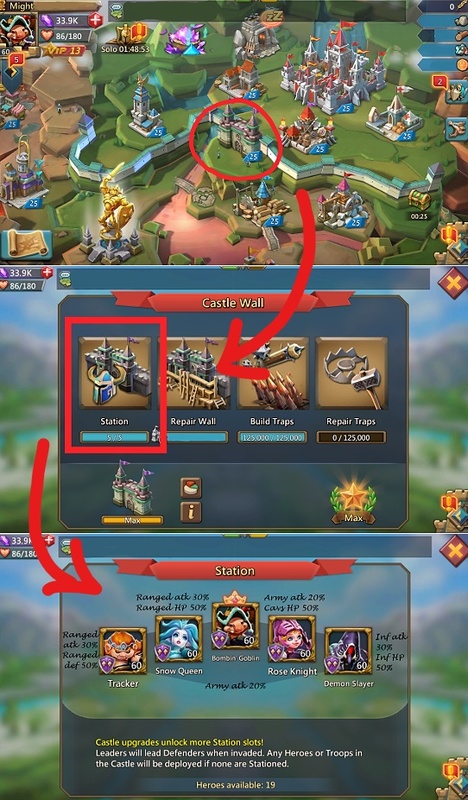 Kvk is done and there are a few things that caught my attention during the event (other than there was not maintenance ). And most of it is related to the leader people is often using and their stationary heroes (the ones that you put on your wall). So, let's go straight to the point, shall we? 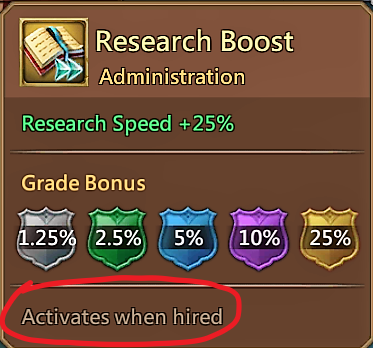 Thus, it will always be activated regardless of the situation, since it has been applied to your turf stats already. Different logic applies to "Logistic" heroes. 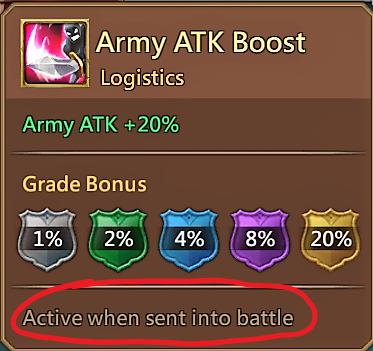 Contrary to "administration" heroes, "logistic" heroes need to be out there in battle to trigger their special abilites. this is just an example of setup.